Hello, and welcome to BIG Holiday International. We are a full service travel agency and destination management company that is part of the Big Holiday Co., Ltd., founded in 1964 and headquartered in Tokyo, Japan. Big Holiday International specialises in tailor made holidays providing the highest possible service of flights, hotels, tours, guides, MICE managements and more for overseas visitors to Japan. 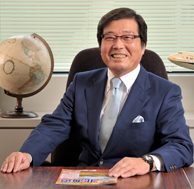 With our long history and 50 years of experience, we have built the stable status for domestic tours already, and a wide network of partners within the Japan’s tourism industry. Big Holiday is especially proud of NO. 1 record of attracting ski customers in Japan. We always welcome you to contact us for your customized travel enquiries and arrangements in Japan. We strive to offer the best plan to match your budget and for individual, group or MICE travellers. We hope that you have an unforgettable time in Japan, and we look forward to serving you with our warm spirits of hospitality. Please feel free to contact us for all your travel needs. 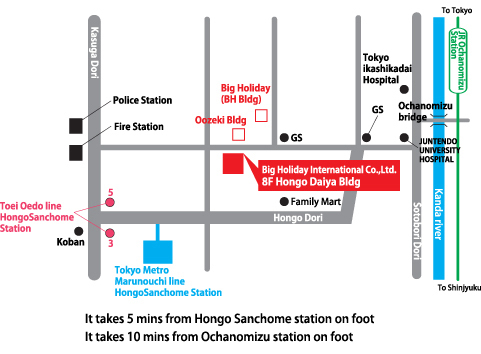 English name: BIG HOLIDAY INTERNATIONAL CO., LTD.
Group of Companies: Big Holiday Co., Ltd.